I had some shopping to do, so I headed to the posh avenue of Champ Elysees to do the needful. After a little bit of running here and there and doing the errands I checked the time in my watch. It was 8pm, time to head to a restaurant for dinner. 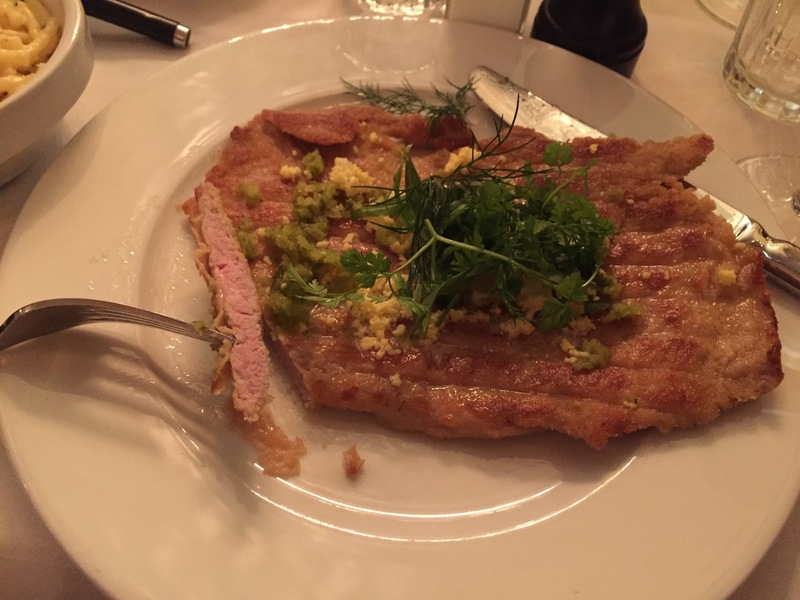 The street has quite a handful of restaurants like two pizzerias Cafe Roma and PizzaPino and just beside them is the L'Alcase, which is mainly based on Alsatian food and some other bits of French and German gastronomy to suit everyone's taste. I had read about the reopening of the restaurant L’Alsace on Champ Elysees after restoration. 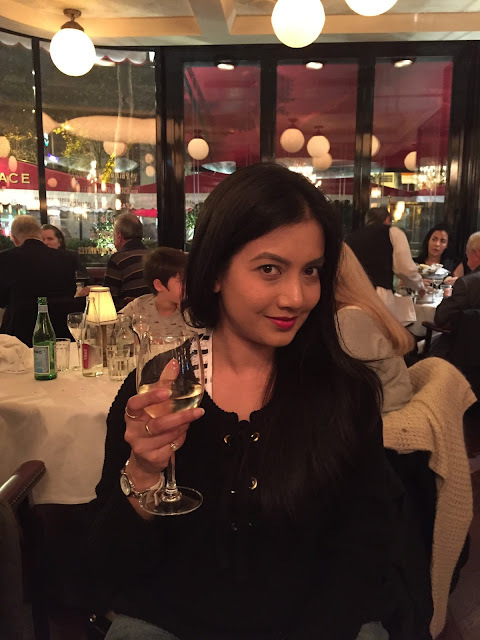 I ate at this restaurant last year and quite liked the food and ambience. The look of the restaurant from the outside was same but as I stepped inside I realized that the interior had transformed completely. 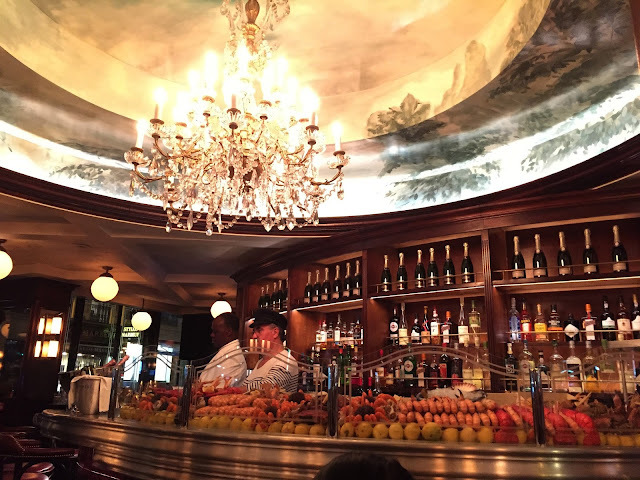 The huge clock on the ceiling was replaced with a painting and there was a seafood corner with an array of shrimps, crabs, langoustines and oysters. The restaurant was full; however we preferred to be seated in the interior hall rather than the outside terrace. And we were lucky enough to get a table after only a wait of two minutes. As soon we were seated, we were offered the menu card. 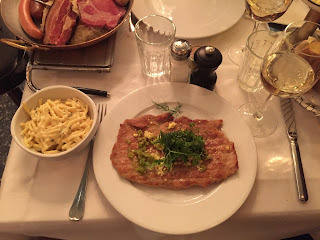 I had already the flavor of Alsatian food during my visit to Strasbourg in 2012. I happened to jot down the details about the gastronomy of this region and you can check them out in one of my previous posts. 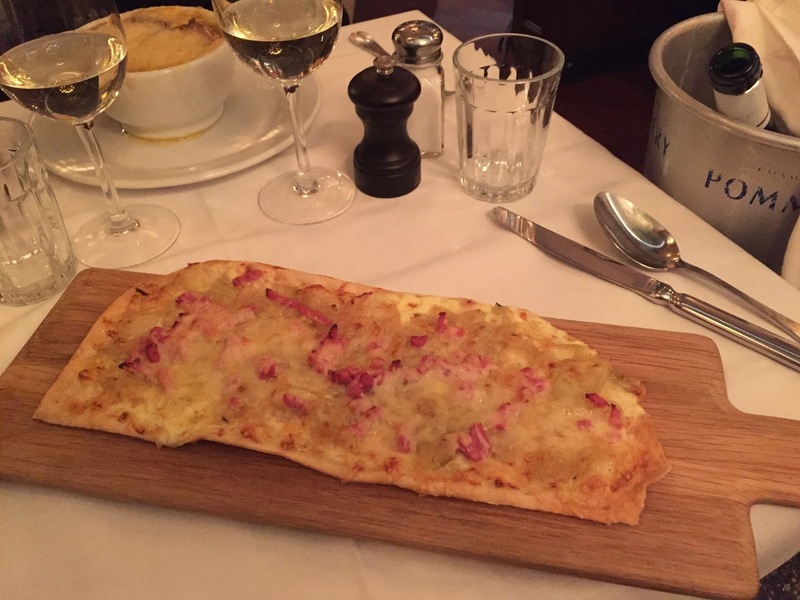 After a look through the menu we decided to opt for Flammekeuche ( tarte flambée) and Gratin (French Onion soup) for starters and for the main dish we settled for Choucroute Maison D'Alcase (which consisted of pork shank, sausage fumed in cumin, white sausage, fumed pork loin and belly and knack) and Wiener Schnitzel served with Gratin of Spätzle. 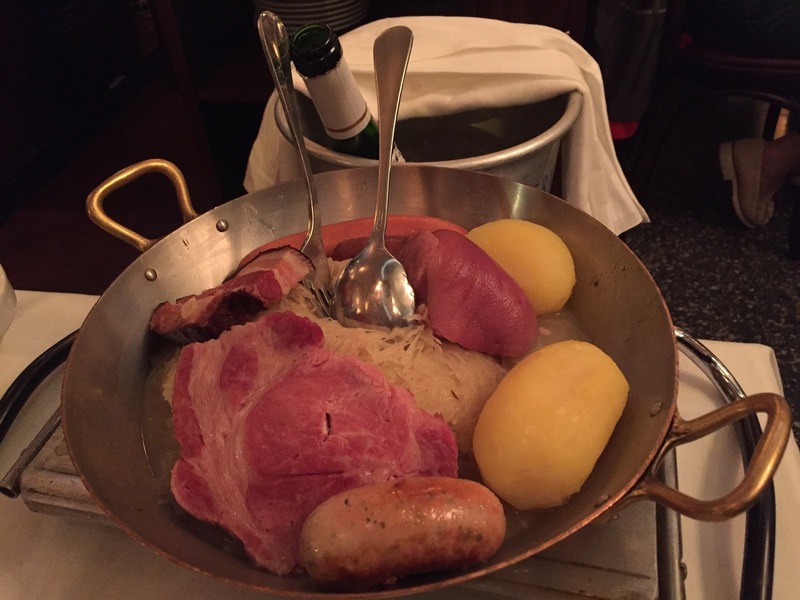 Of course Alsatian gastronomy is incomplete without Flammekeuche and Choucroute and to really appreciate the quality of a restaurant specialized in Alsatian food, it is almost obligatory to try these dishes. The white wine that we opted for was an Alsatian Pinot Blanc. 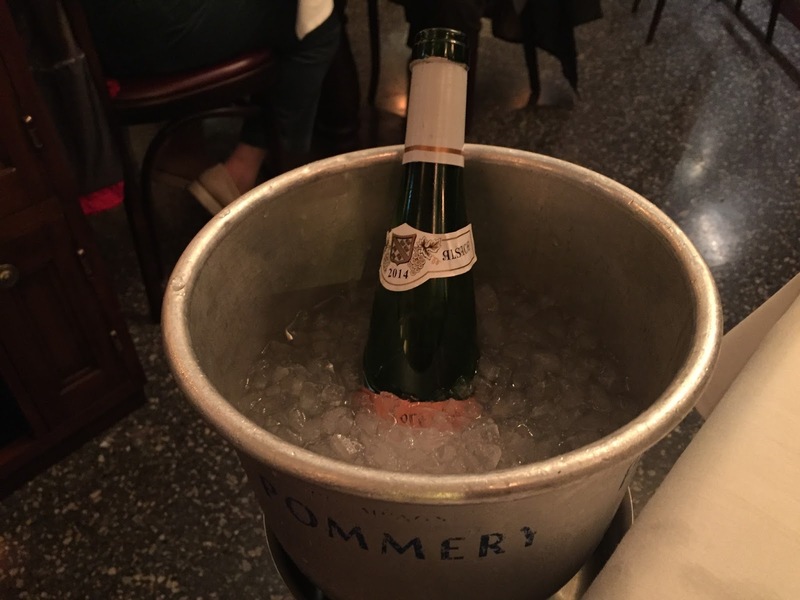 90% of the wine produced in Alsace are white, so the color of the wine for us was an obvious choice. The first thing to arrive in our table was the wine. After the first sip I realized that the wine was of my preference, smooth, refreshing and less acidic, a perfect Alsatian delight. Next it was time for the starters. Both were palatable but the Flammekeuche lacked the smoked flavor of woodfire. The traditional Flammekeuches that we tried in Strasbourg however were all done in wood fire. After we devoured the starters our main course arrived. The portions were quite large and from the beginning we knew that it would be impossible for us to finish it completely. Alsatian cuisine represents conviviality and the dishes are substantial and served in generous portions and L’Alsace lived up to those standards. After the initial posing and clicking of pictures we started to dive into our dishes. The Schnitzel was nice and yummy, it reminded me of my trip to Austria two years ago. Mitra quite liked the Choucroute and said that it was less sour than the one that he tasted in Strasbourg (thus he liked this one at L'Alsace more). 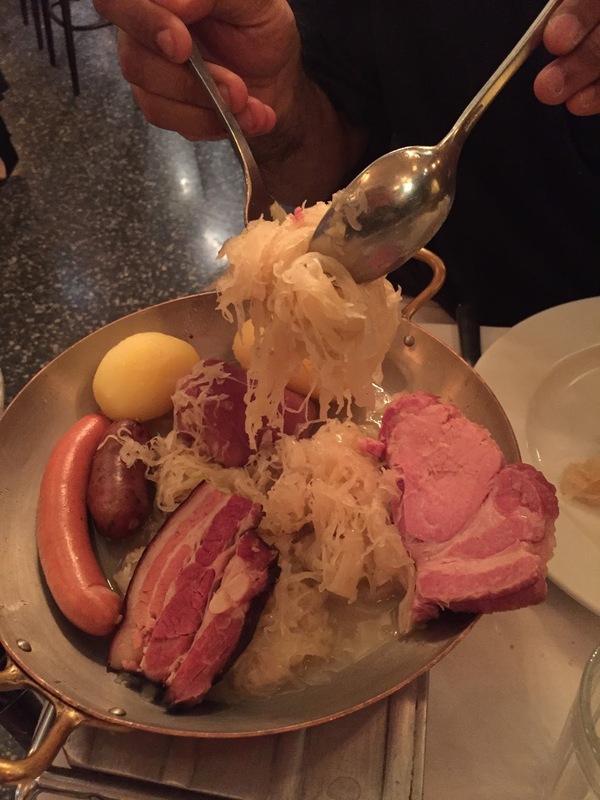 Half way into the meal we requested them to pack half of the Choucroute which was promptly done. Of course we needed some space for gulping down the wine. 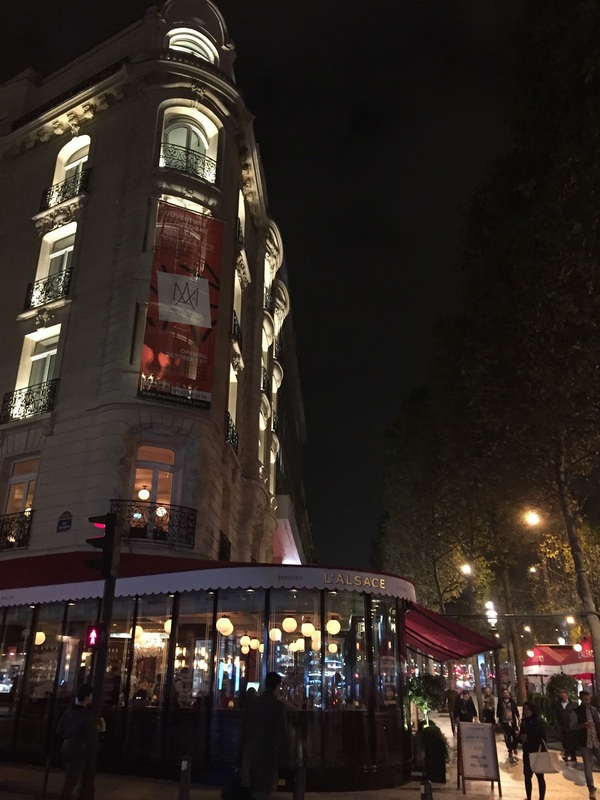 We had a perfect dinner in an aesthetically decorated restaurant in the classy Champs Elysees. This restaurant is a nice place to dine when one is at Champs Elysées for shopping. By the time we came out from the restaurant the temperature had dropped quite a bit. 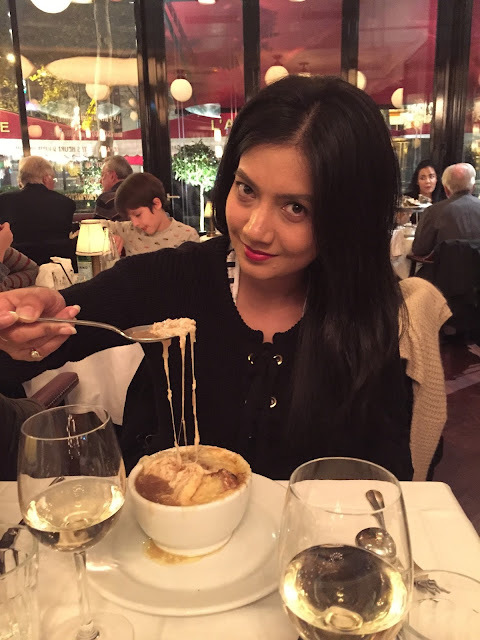 The chilly wind caressed my long hair as I made my way through the sidewalk of Champs Elysees. 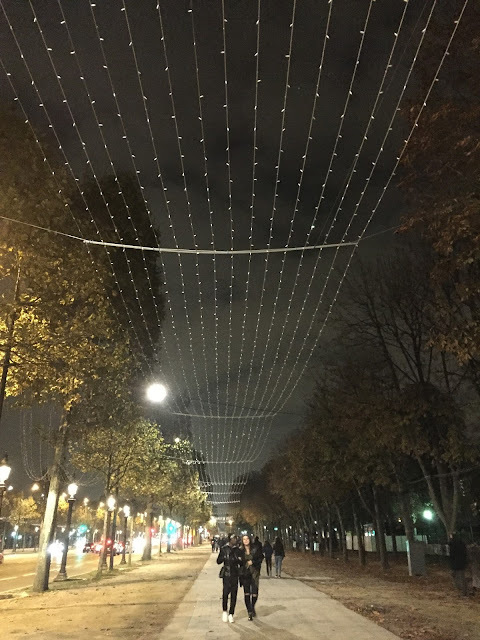 Christmas is starting to pour into the thinning air, the bulbs are up on the Avenue, all that we can now wait for is the light from them to fill up Champs Elysees during the festive season.